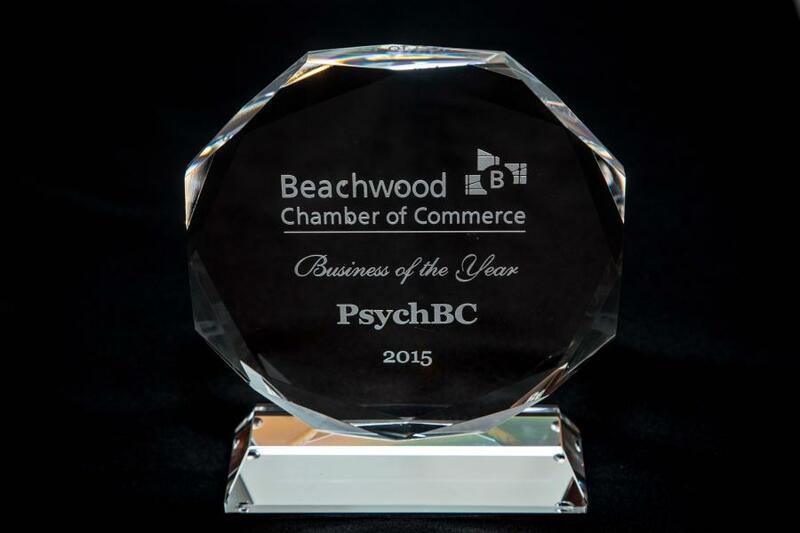 PsychBC has been named the 2015 Beachwood Business of the Year by the Beachwood Chamber of Commerce. "It is our great privilege to serve as part of the Beachwood business community, and we are deeply honored to receive this prestigious recognition," commented Donald K. Sykes, Jr., PsychBC Managing Director. "We offer our thanks to the Chamber for this honor and our gratitude to our staff for making this possible."